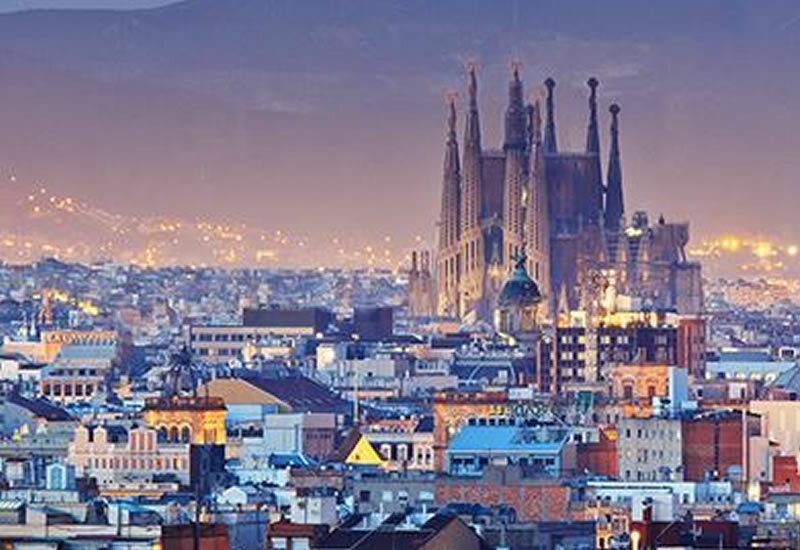 A colourful, vibrant, and exciting city rich in culture and history, Barcelona, the capital of Catalonia, is best known for its art, architecture, and of course, its football club! 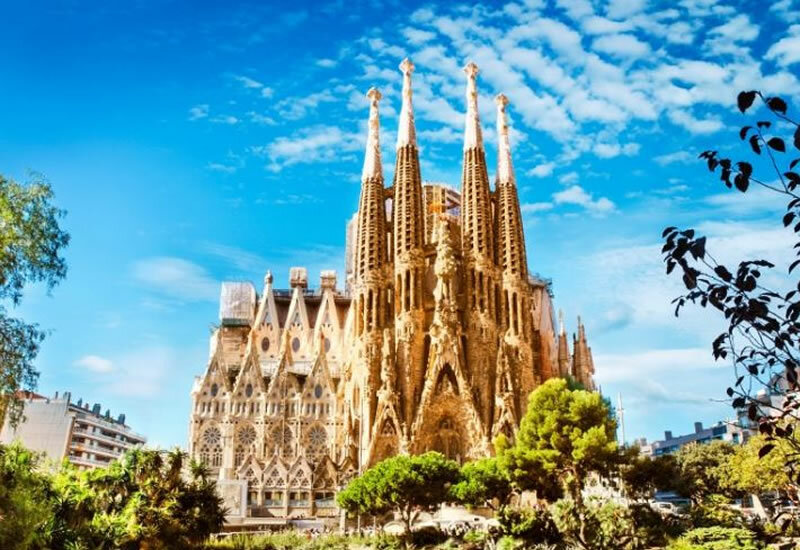 From Nou Camp for the sports enthusiasts, to Port Aventura for the thrill seekers, whatever the focus of your school trip to Barcelona and the Costa Brava, you can guarantee that there will be a wide range of excursions and visits to appeal to each and every student. 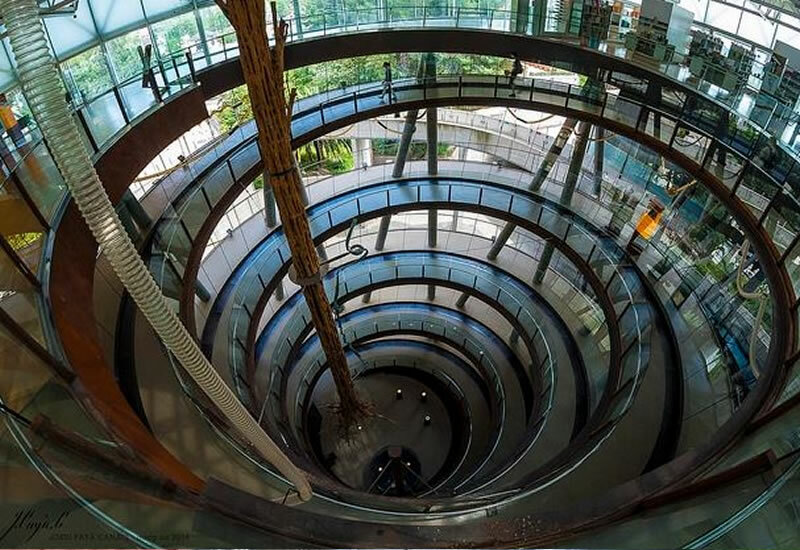 Visits to the protected area Walks up and into craters inside volcanoes, across lava flows and to the base of basaltic cliffs local volcano Museum. 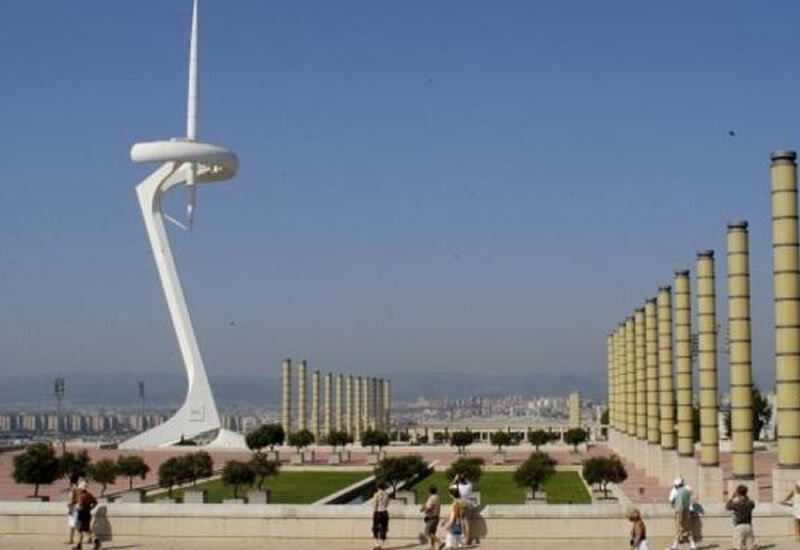 Understand the impact this stadium had on Barcelona during the 1992 Summer Olympics and to the present day. Communication and signals, First aid and how to pack your rucksack. Knots and abseil with rope, learning how to start a fire, orientation in nature and survival shelters in the forest. 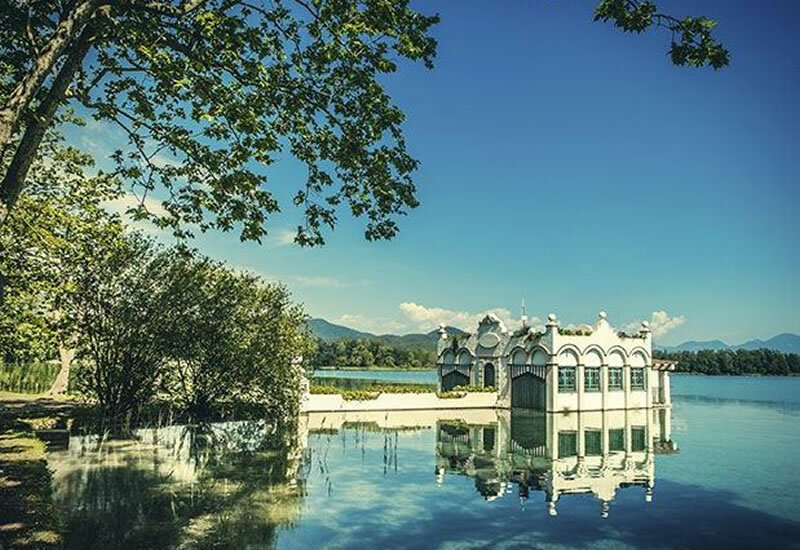 Banyoles lake where you, discover and see the lake from a different view: we climb to the top of Puig Clarà: it is a small mountain (314m) but at its peak there is a lovely view of the lake and the Garrotxa and Alt Empordà mountains. 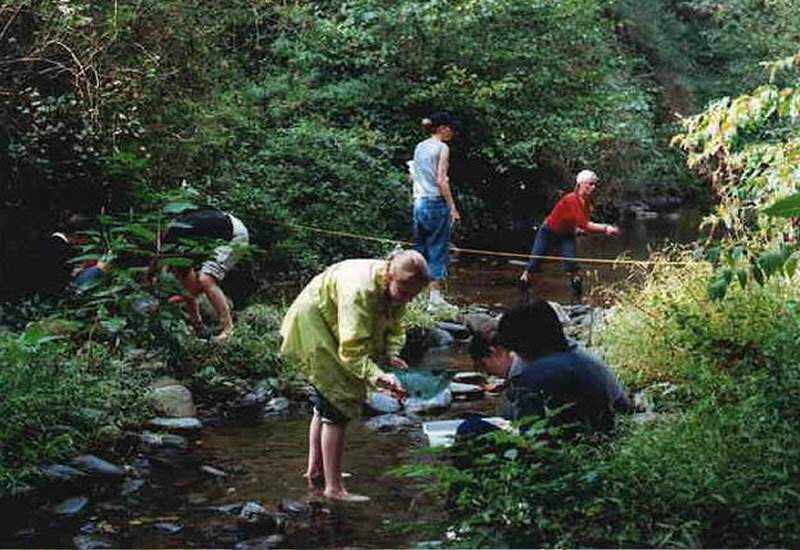 The activity is based around fieldwork in and around the Tordera’s river; students will use measuring tapes, flowmeters, clinometers, etc. to describe some different points on the course of the river. 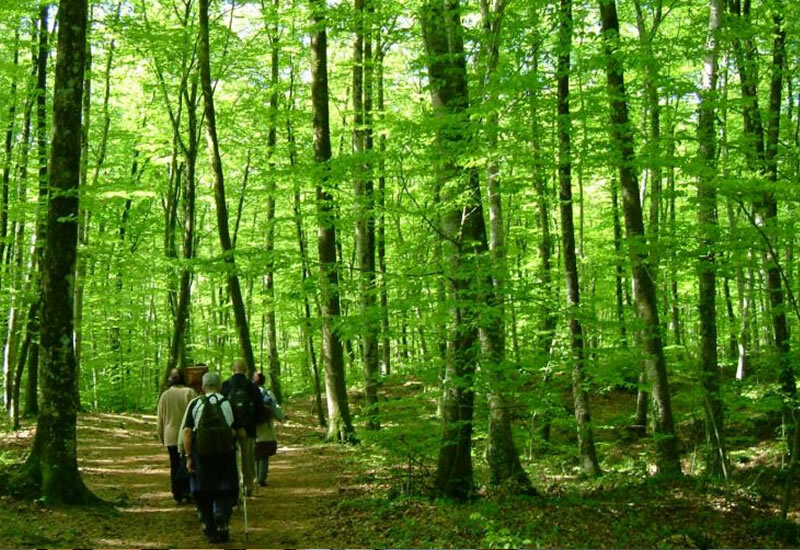 They will discover the flora and fauna of the area. Discover the secrets of the volcanic landscape. Impact of this protected area on the local people´s lives Extraordinary. 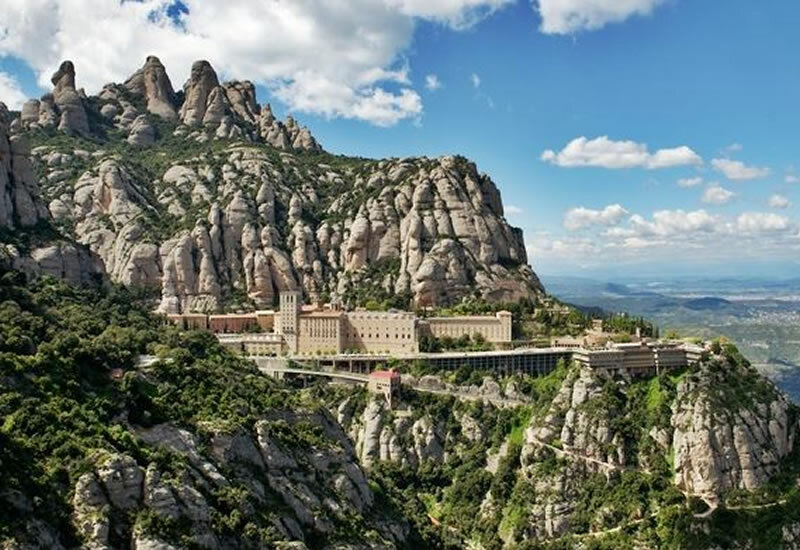 One of the most impressive natural sights of Spain The rugged mountain of Montserrat and a its 9th century Benedictine monastery. 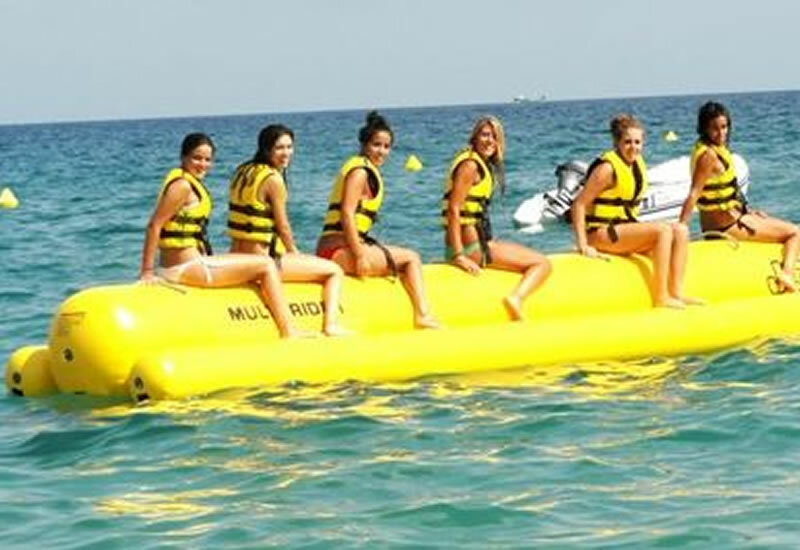 It is water trekking fun and entertaining , without any difficulty. 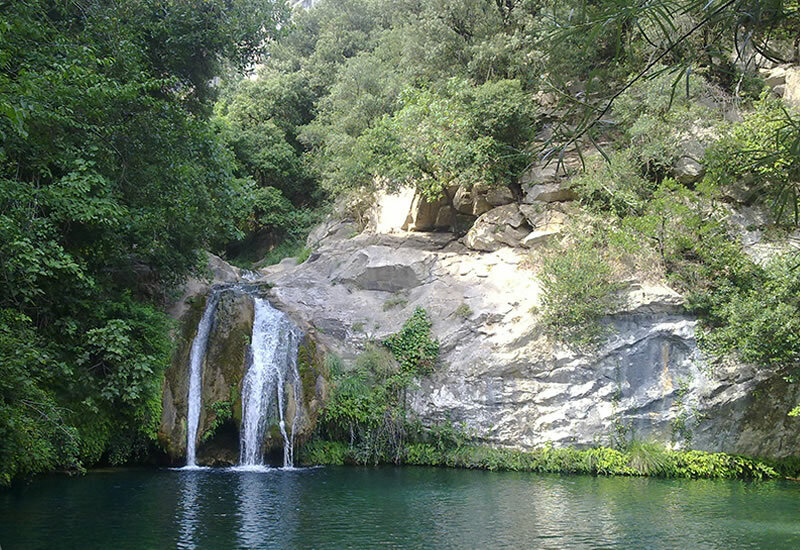 We find beautiful gorges and crystal clear turquoise waters where you can jump from different heights. This activity is suitable for everyone. 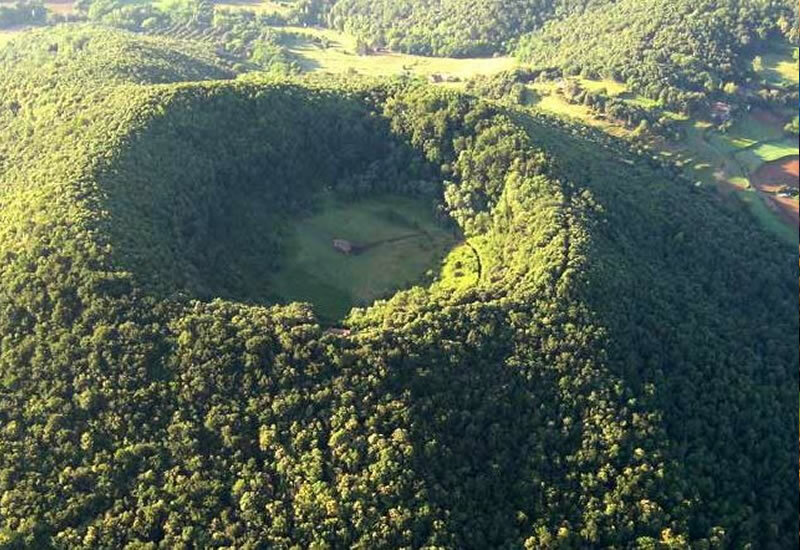 Unique places in the world and must see at least once in a life. For it’s rock type and location, this area has a characteristic climate which causes peculiar erosions on rocks. 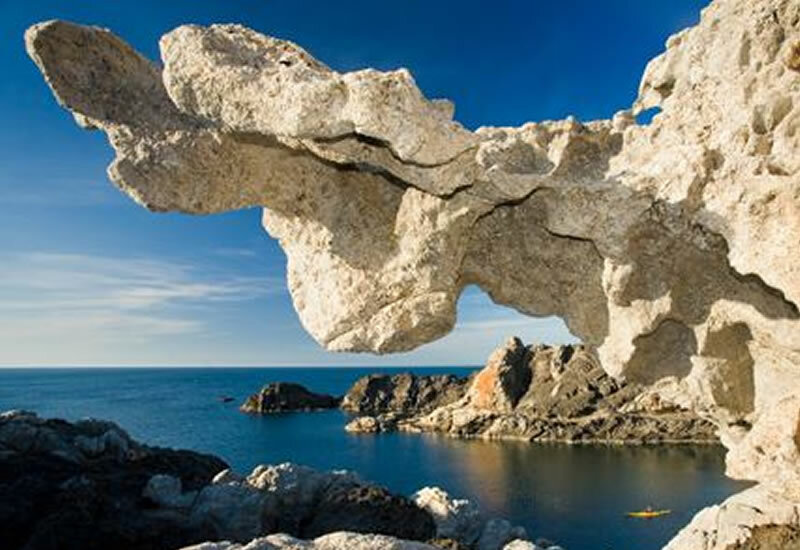 A process of erosion and its forms inspired the great Catalan painter Salvador Dalí. Extraordinary beauty Scientific interest Biological value and ecological diversity of species and environments. 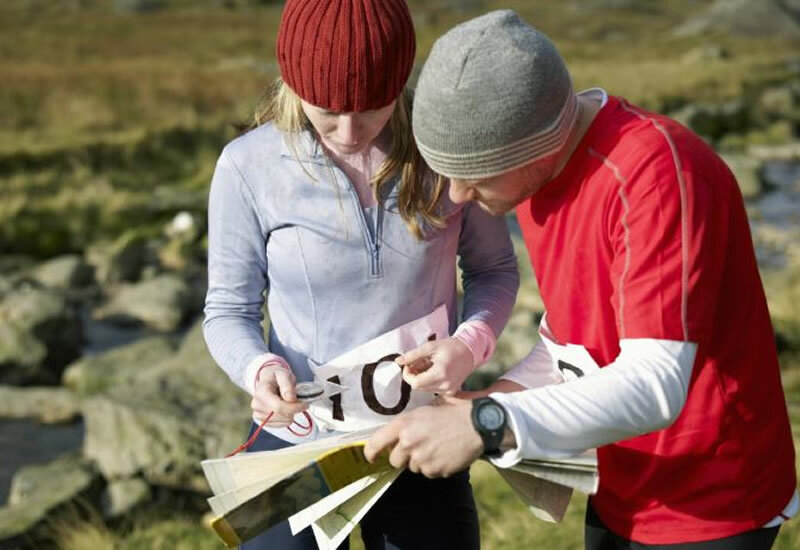 This activity is a mixture of hiking and developing orientation. It will allow you to live nature in a playful way and understanding concepts such as slope, and how to read them on a map, or how to mark the passing posts. 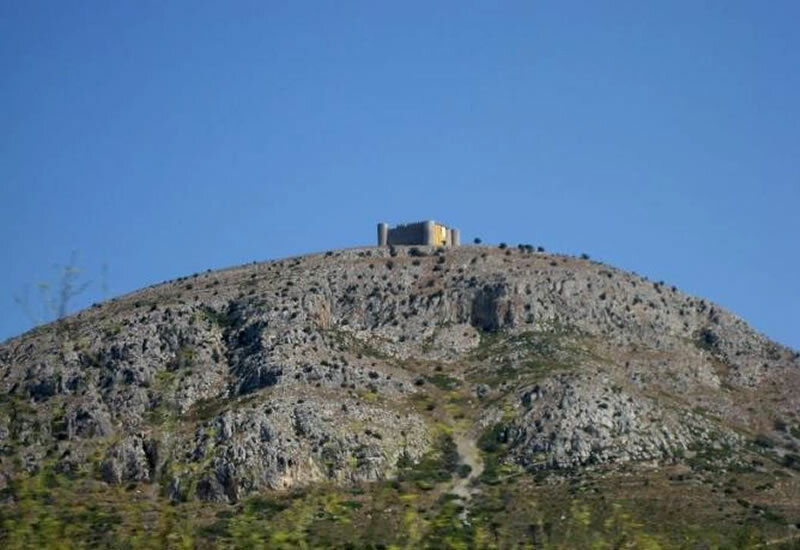 Montgrí’s castle is located on the highest peak on Montgrí mountain, at a height of 315 metres and 6km from the sea. It is without any doubt the village’s symbol. 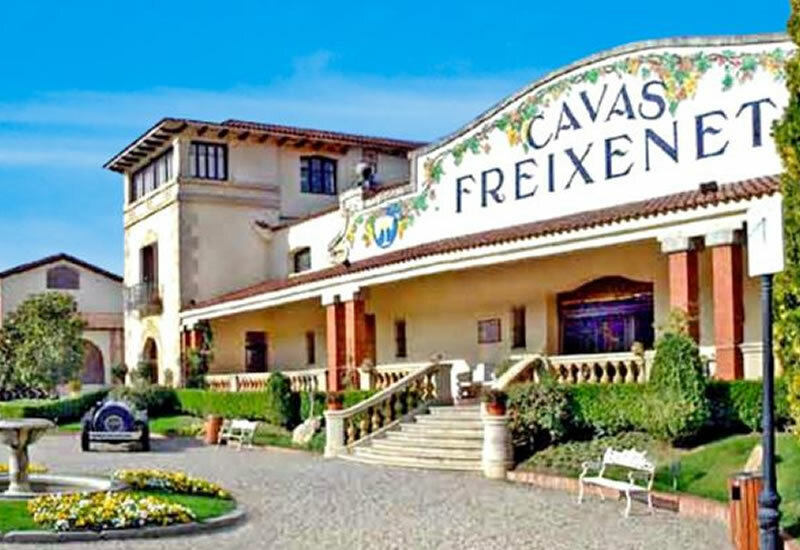 This excursion will take us back in time, to the Medieval Catalonia. 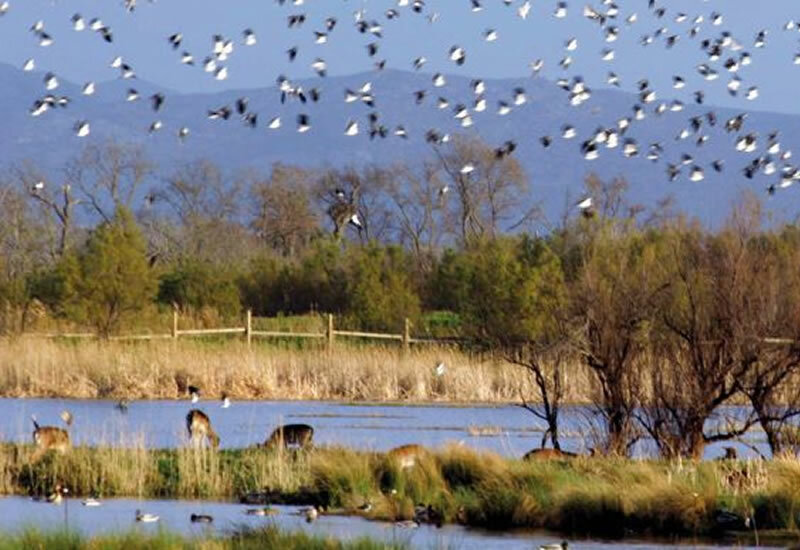 One of the most visited areas in the Empordà: the Natural Park of Aiguamolls de l’Empordà, the second most important park in Catalonia. 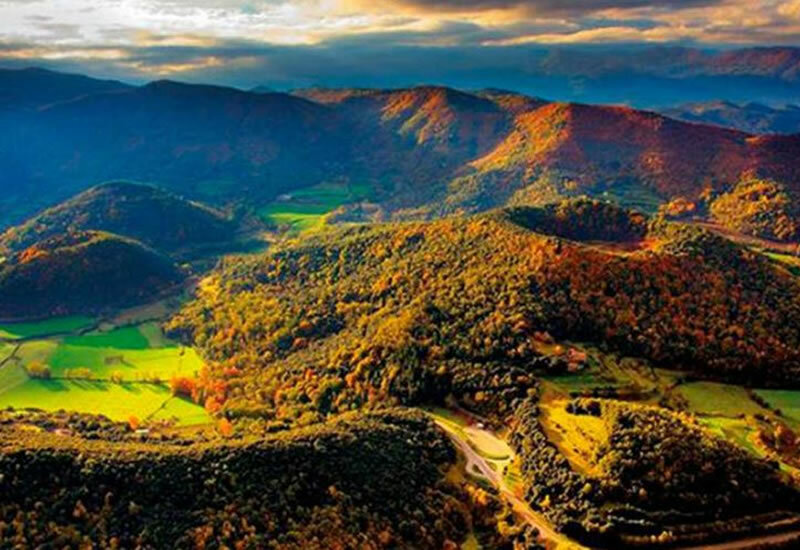 It is one of the best known, emblematic, natural areas in Catalonia. Put their language skills into practice. With native Spanish teachers and pupils in a local school. Courses are offered at different levels and are always practical and interactive. To practice their listening, writing and mostly their speaking skills. An activity sheet to be completed by answering questions related to the different moments of the day in the life of Pedro. 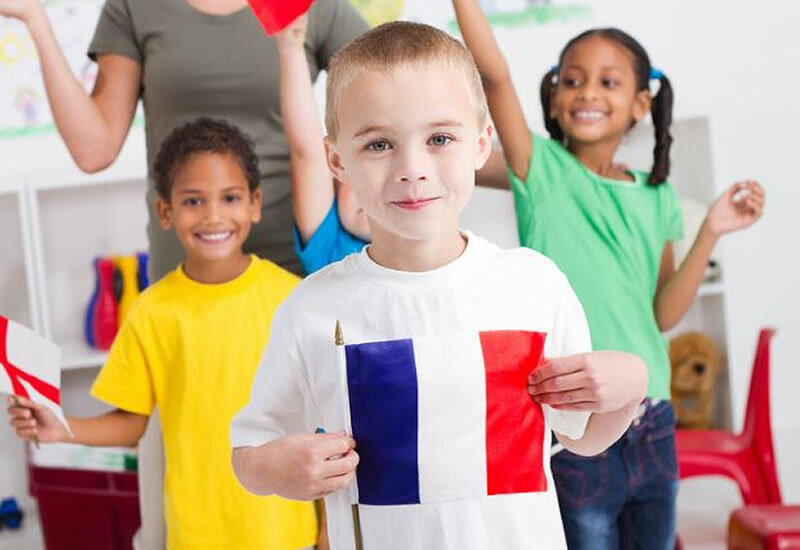 Daily language lessons for your students with qualified teachers. Attend to a local school to meet native people and make friends. 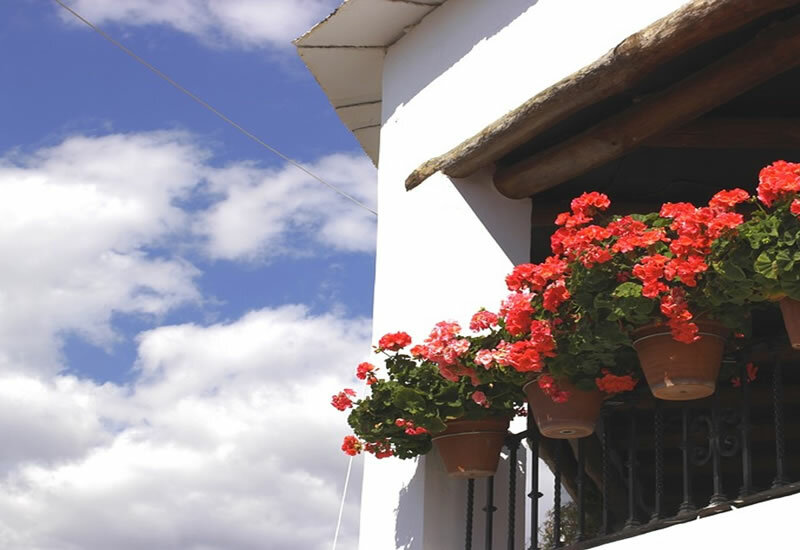 Discover Spanish people and the Spanish language. Fun, didactic and interactive. The Game is a unique educational experience. A theme, challenges and a final prize. Discover the Gothic Quarter in a completely different way, using your senses to complete the Game. See the cows, the labour room and the milking room. Learn how the milk is transformed into yogurt and desserts. 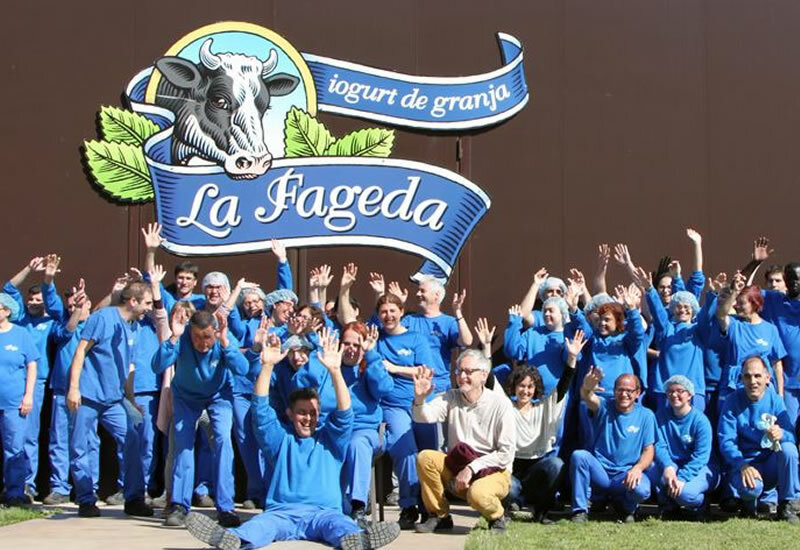 La Fageda is based on an occupational therapy service for people with intellectual and mental disabilities. Chocolate tasting Combining brandies with chocolate Make a journey through the origins of chocolate Xoco experience Lollipop workshop. This is about tasting 4 different tapas in 3 different neighbourhoods, including one drink and one sweet desert at the end. Your chance to learn about local food in local bars. You will discover the secrets and details of the traditional fishing of the famous Palamós prawns by visiting one of the boats operating in the port of this fishing town. 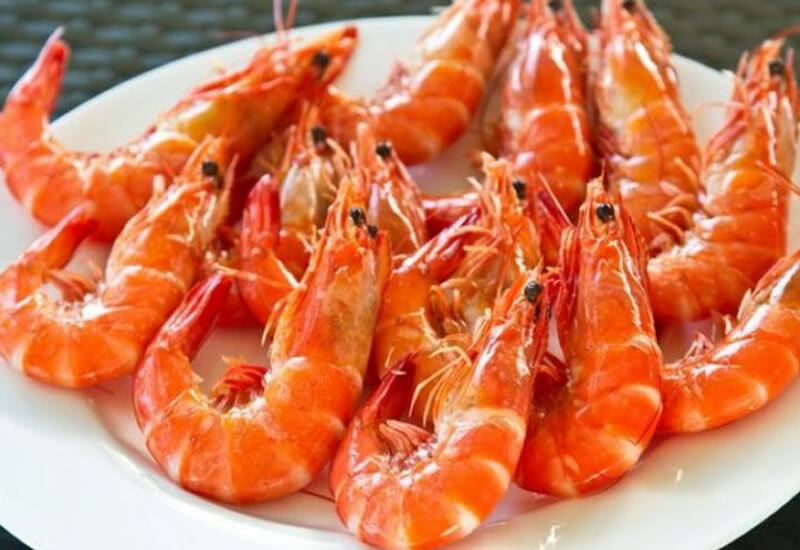 Once the visit is over, you will get 300 g of freshly caught and much prized Palamós prawns per two people, and they will be cooked for you in a tavern in the port. 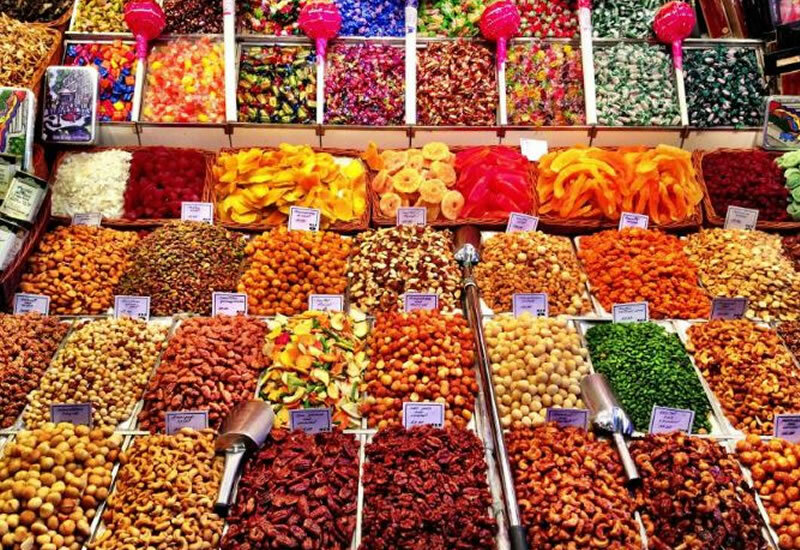 The study of the relationship between people, culture and food. 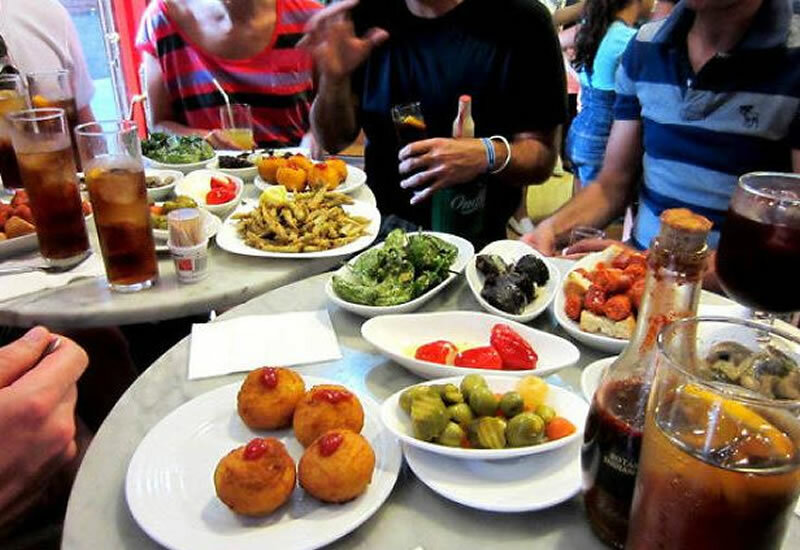 The best way to get to know a city, through its people and food. 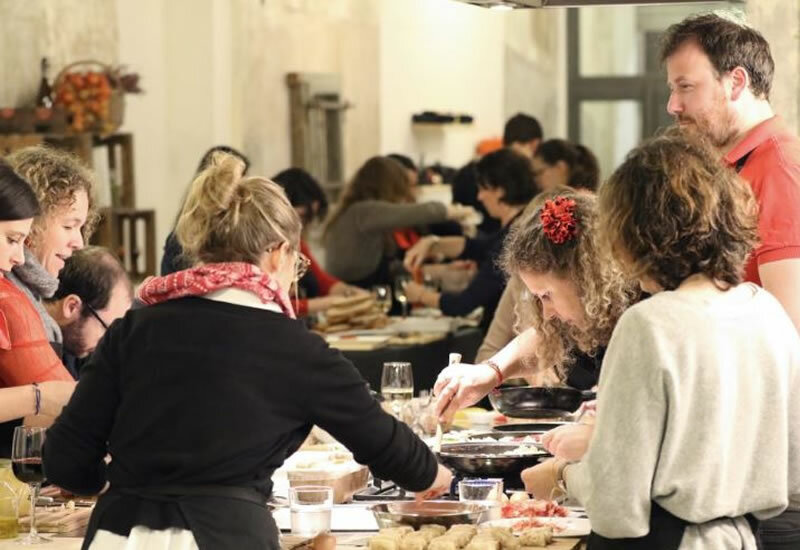 This game is designed to challenge the participants’ culinary skills. 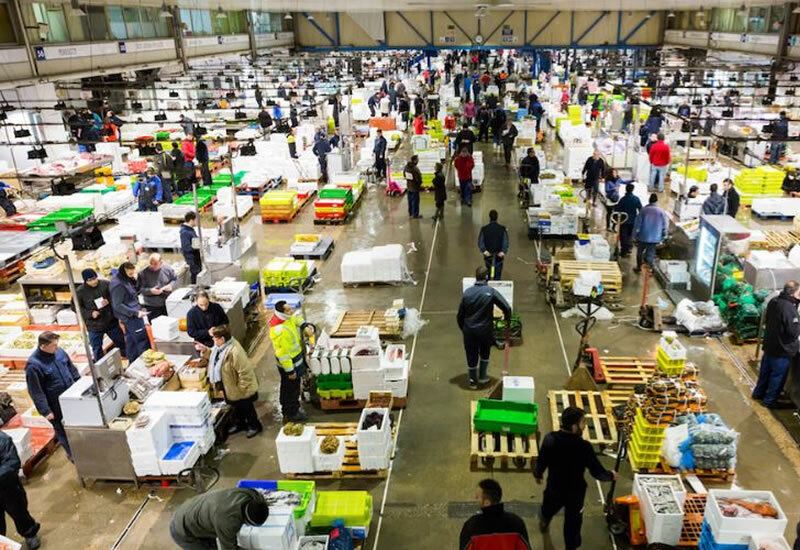 Mercat del lleó in Girona La Boqueria in Barcelona Gastronomic temples. 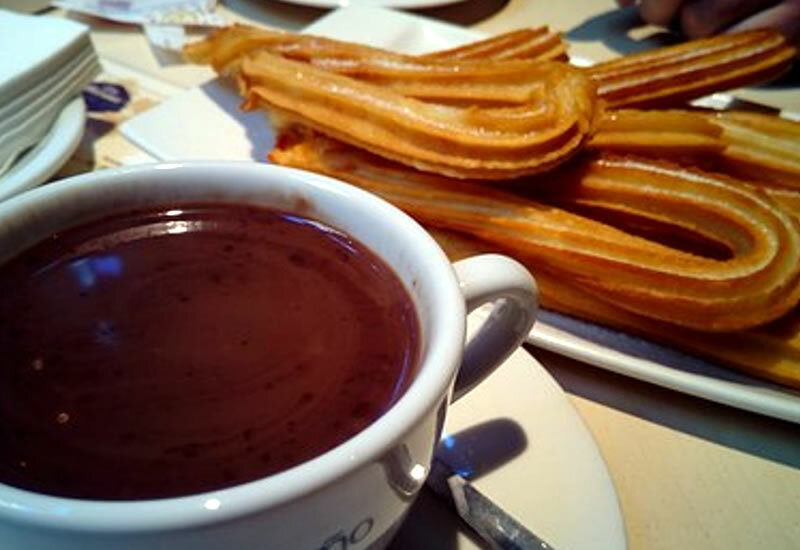 A typical dish of the cuisine of Spain. 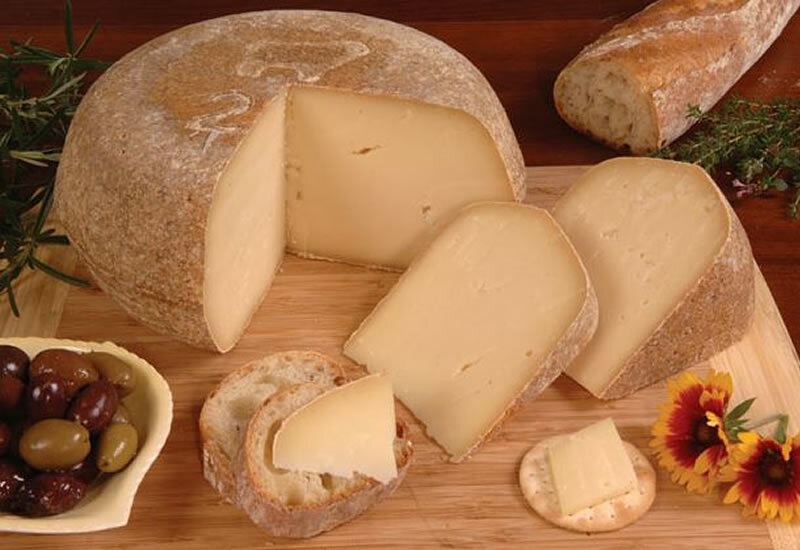 It is consumed as breakfast int the very early hours and is sometimes served as a snack. 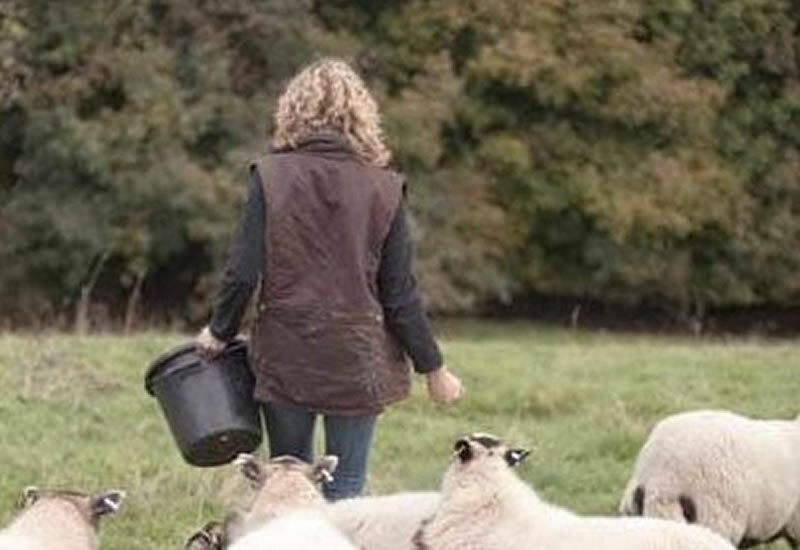 Visit the workroom, the milking process and enjoy the contact with the lambs. You can be a shepherd and visit the places where sheep graze. Later, you will taste delicious cheeses, yogurt and cottage cheese. You will end up making a cottage cheese, which you can take home. This practical cookery demonstration is the best way to learn about the culture, the language and the local food. 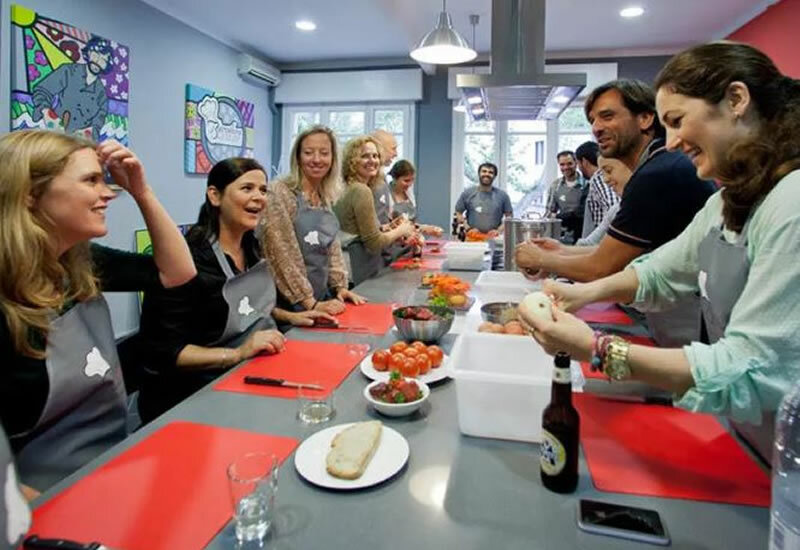 Our professional chefs will show the group how to cook the different typical specialties. 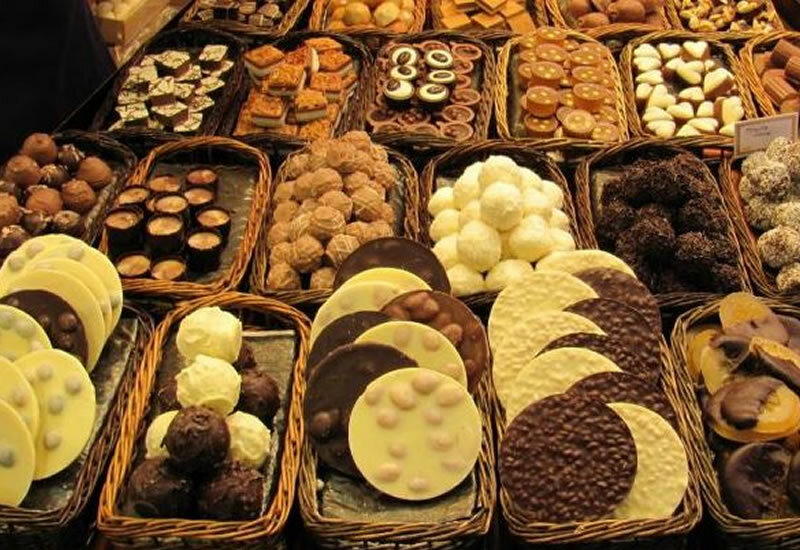 Gourmet walking tour with an English speaking specialized guide Several stops with more than 10 tastings with chocolates, sweets and drinks Explore Barcelona’s main sweet locations, in the Gothic and El Born quarter. Visit the workroom, the milking process and enjoy the contact with the lambs. You can be shepherd and visit the places where sheep graze. Later, you will taste delicious cheeses, yogurt and cottage cheese. You’ll end up spinning and carding wool, activity to learn what is the origin of wool. Our professional Flamenco dancers 2 hours training session in their dance studio. Palau de la Música Catalana represents a symbolic and emotional heritage for many people who identify with its history. 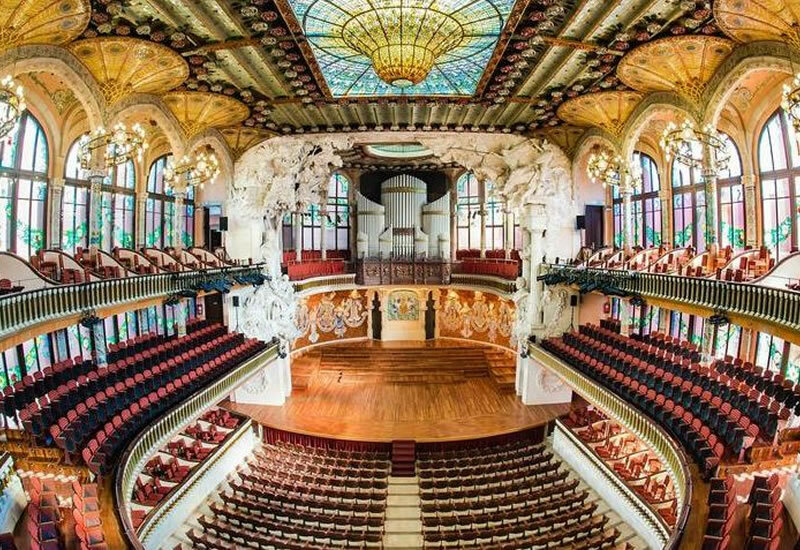 An architectural jewel of Catalan Art Nou-veau, the only concert venue in this style to be listed as a World Heritage Site by UNESCO, which today represents an essential landmark in the cultural and social life of Catalonia. Best experience for those students that love dancing Dance performance in town providing chairs, electricity and an assistant guide during the concert. 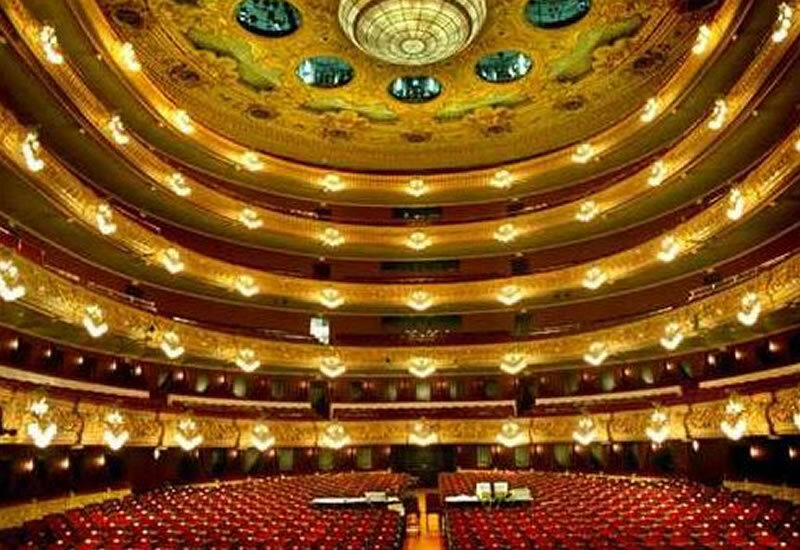 Barcelona´s opera house has fulfilled its role as a culture and arts centre and one of the symbols of the city. The group will visit theatre’s public places, such as; Foyer, Hall of Mirrors, Historical Hall, Main Hall and the Lyceum Circle (an English style private club with an important collection of paintings). 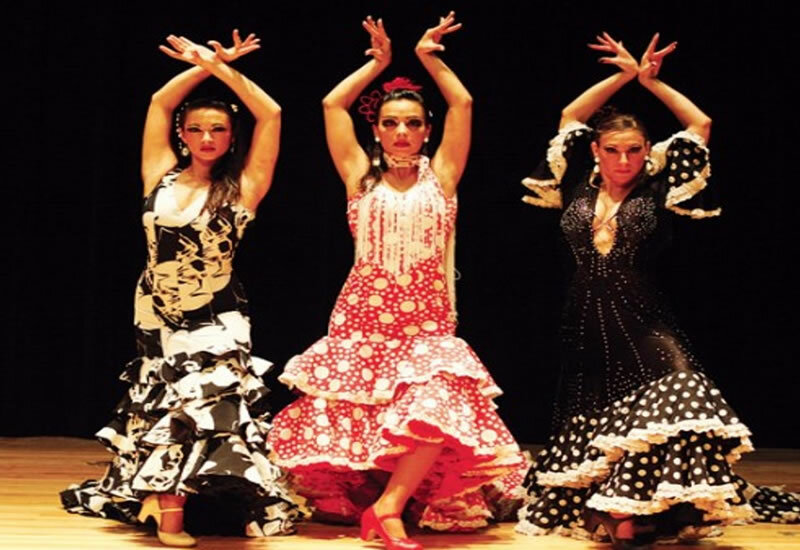 Unrivalled typical Spanish Flamenco show. Artistic production distinguished by its high quality. Magnificent choreography and a huge diversity of costumes, lighting effects and stage decoration. 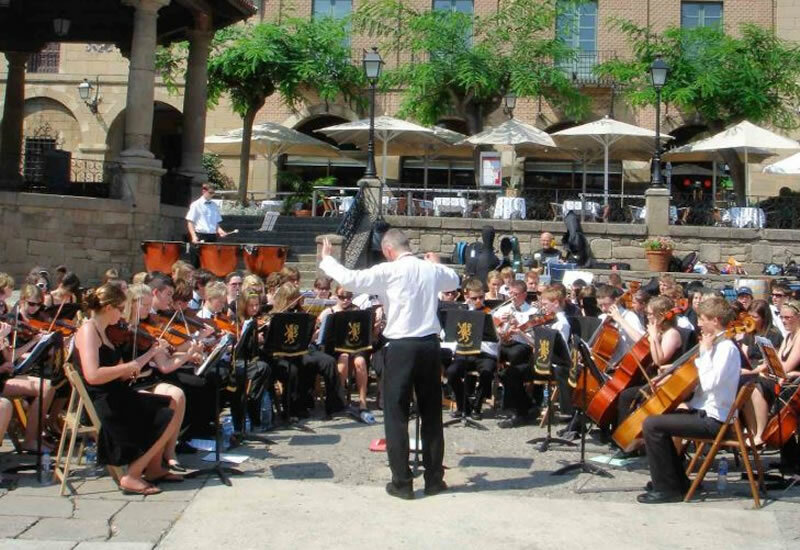 We find the best venue for the orchestra and/or choir and we advise about the best time for the different performances. All the venues are inspected by our staff regularly. Chairs and electricity are at your disposal. Our organization includes an assistant guide during the concert. It is a city full of history and cultural influences. A guided tour and walk in this most fascinating of medieval cities, with a walk along the ancient wall and a visit to the Jewish Museum. 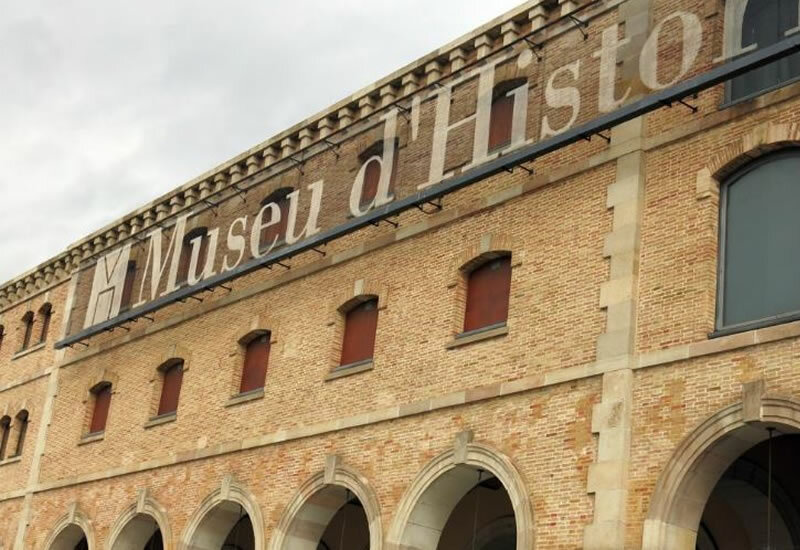 The refugee´s trail is a chance to learn about the exodus from Catalonia at the end of the Spanish Civil War (1939) through a walk down the trail from the French border and a visit to the exile museum in Camprodon. 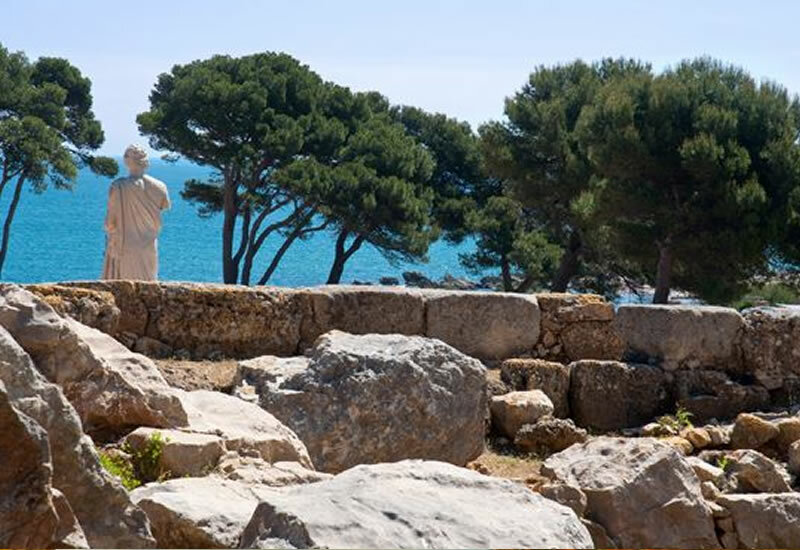 Empuries, is a town full of history where its ruins can be visited. It was founded in 575 BC by Greek colonists from Phocaea and occupied later on by the Romans. The ruins are one of the most important Greek remains in Spain. The crucial stages of the War of Succession in Barcelona. The group will visit the places where the siege took place, which lasted for months and climaxed in September, 1714 with the storming of the Bourbon troops commanded by Philip V.
Cosmo Caixa offers a wide range of educational activities, becoming one of the most dynamic cultural spaces of Barcelona. The activities, offered include basic science, environment, technology, earth sciences, life sciences, astronomy… all designed to increase the social awareness, to ensure the sustainability of the planet. The crucial stages of the War of Succession in Barcelona. 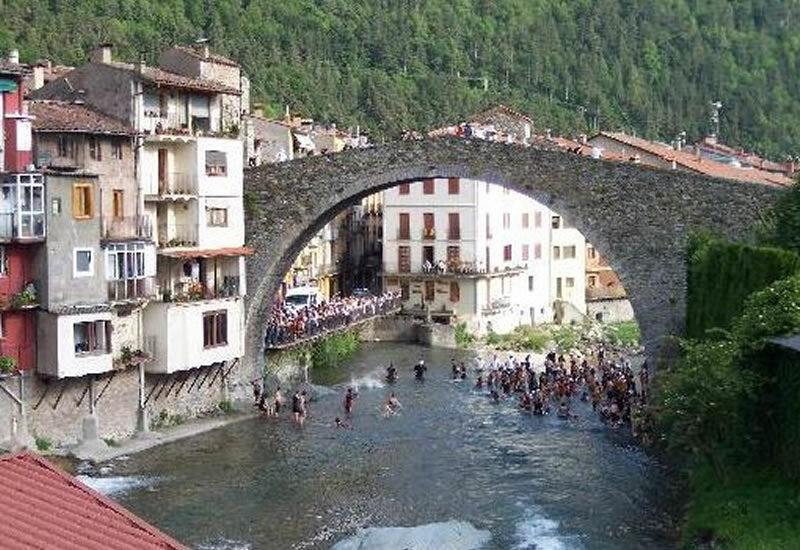 The group will visit the places where the siege took place, which lasted for month and climaxed in September 1714 with the storming of the Bourbon troops commanded by Philip V.
Montsec has the most appropriate characteristic in Catalonia to the observe universe. 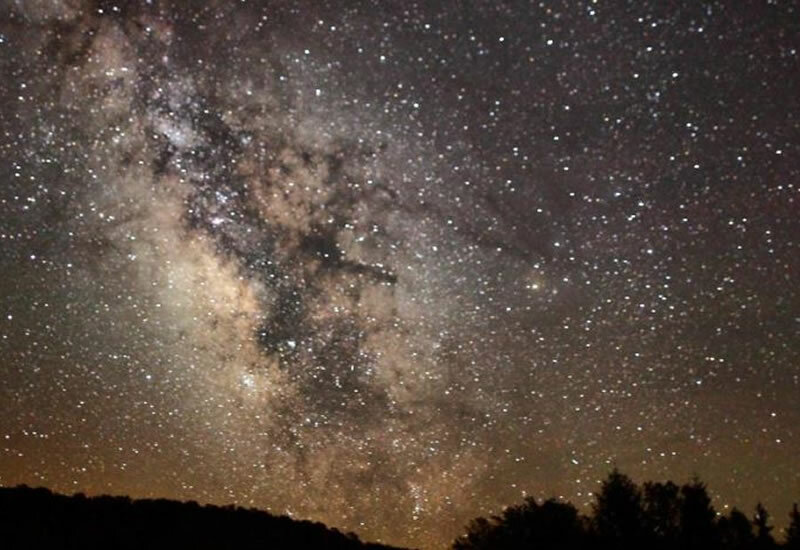 At 1570 in above sea level , the Centre d´Observació de l´Univers is a great recreational multi-space whose goal is to become the focal point of the teaching and popularization of astronomy and geology in Catalonia. 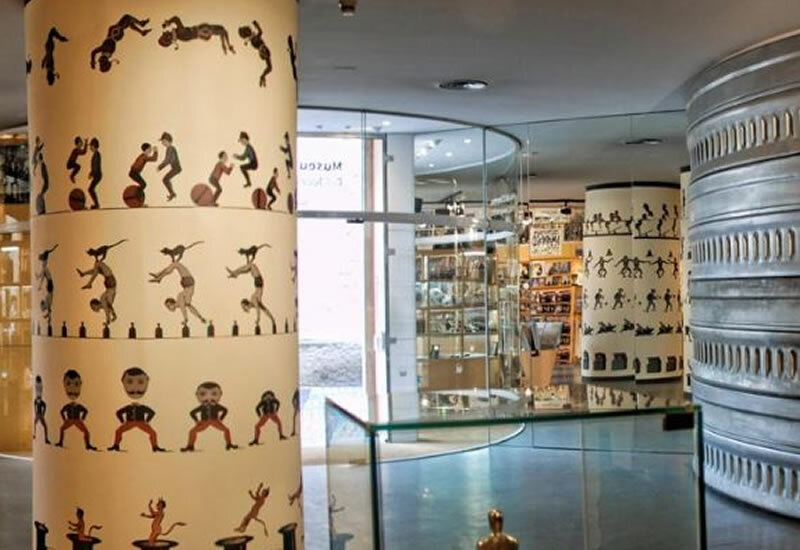 In this journey through four hundred years of images, the group will be accompanied by the museum educators to provide students with the knowledge to discover the origins of cinema. Study of the park´s role in local territorial management Regarding the many conflicting interests that the park´s management teams have to try and take into account. The group will study the water as a primary source in the forest and how it is profited in the packing plants. 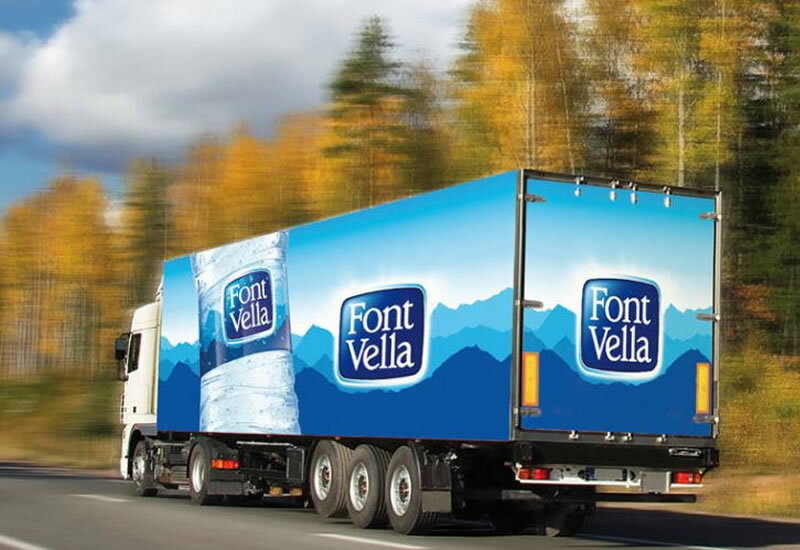 At Font Vella Factory they will see how the packing plant works, how the bottles are made, the packaging process, the quality control, logistics and commercializing process. 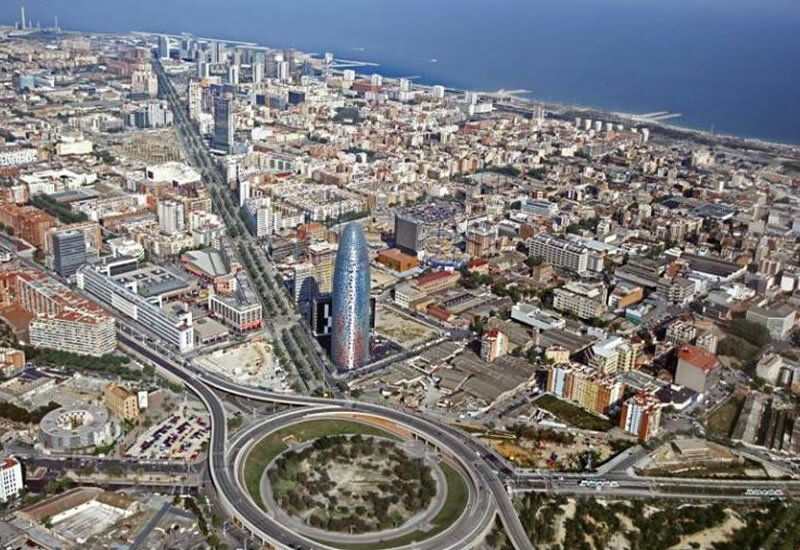 22@, also known as innovation district, is the corporative name given to a business development in Barcelona´s formerly industrial area of Poblenou. Part of Europe´s biggest urban regeneration scheme, which started in the zoos during the 2000 and is still ongoing. 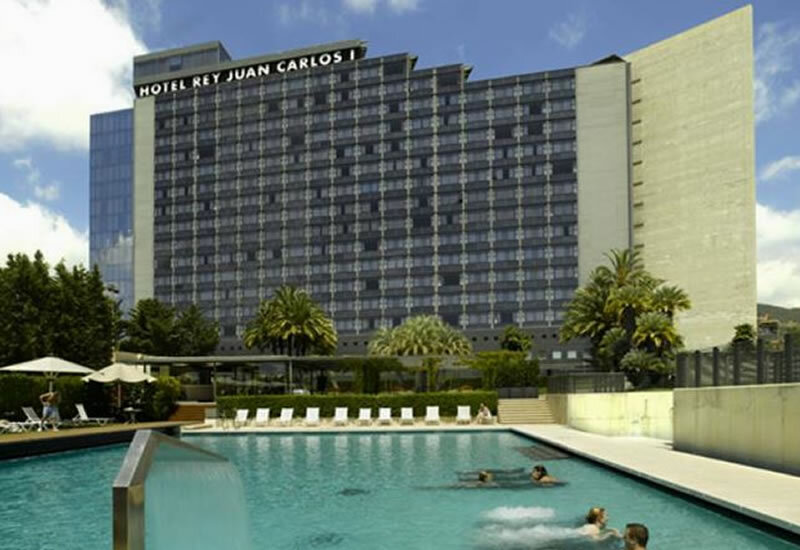 Discover how Hotel Reservations, marketing or management department works. 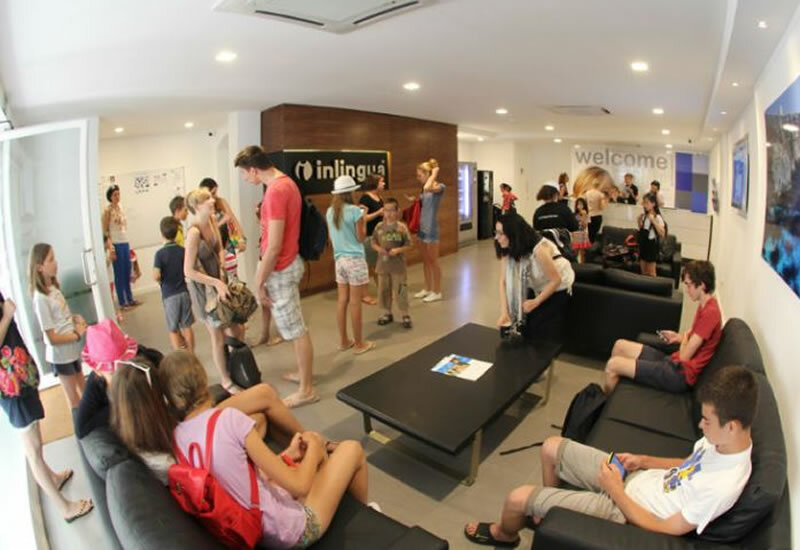 With this activity you will meet businessman and the people who take care of the good running of the different hotel or restaurant departments. 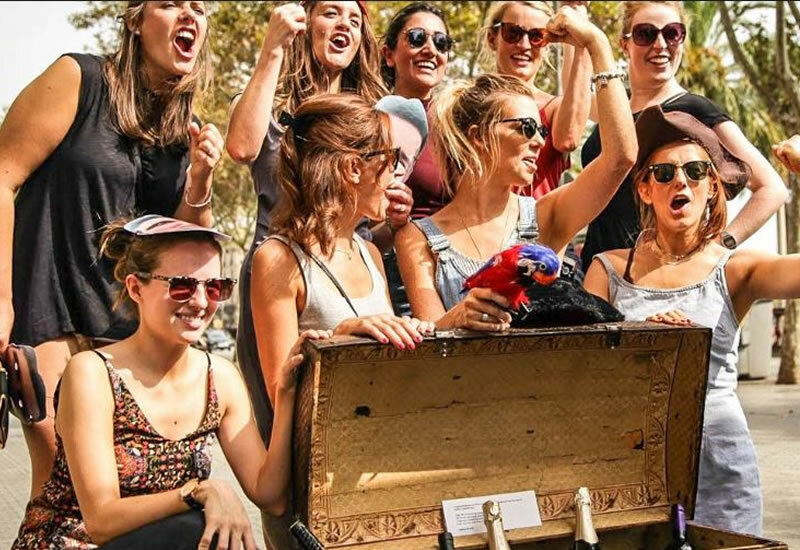 How the mass tourism has turned on the generation of alternative solutions to create a new Barcelona tourism, far the massive one. 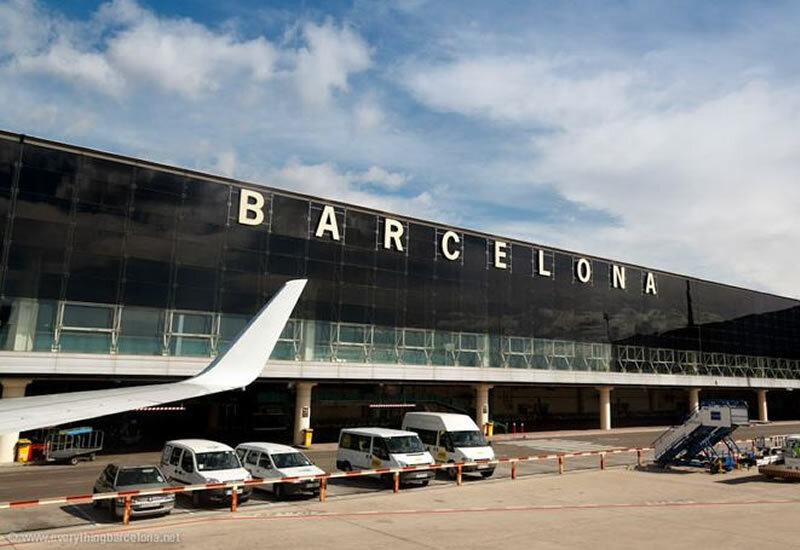 To know which have been the answers of Barcelona Tourism administration to solve the problems that mass tourism has caused in the city. During the airport tour, the group will visit the installations of the airport facilities (both public areas and airfield) with the aim to discover the operational work of the different departments to ensure an optimum service to passengers and visitors. 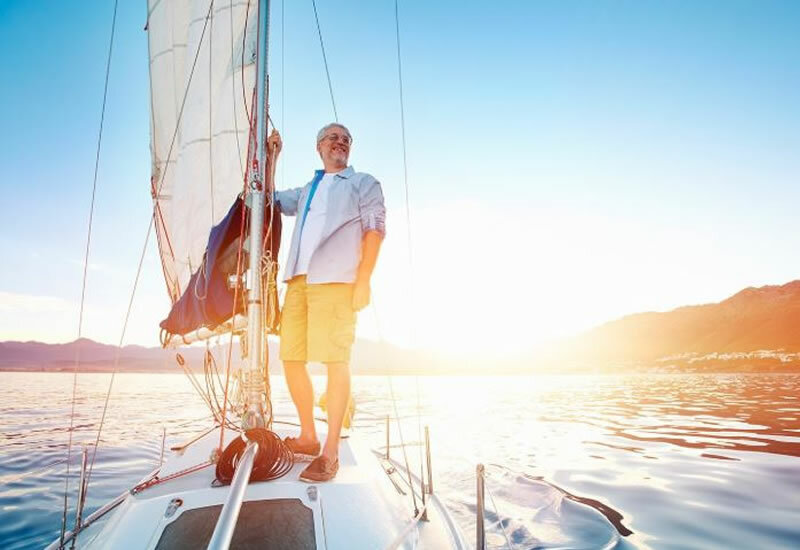 Learning to play with the wind and sail safely in a sea without waves is a privilege. Sailing is totally ecological and fun and exciting. We value teamwork and together we will strengthen the bonds of your group and enjoy the fantastic feeling of sailing. 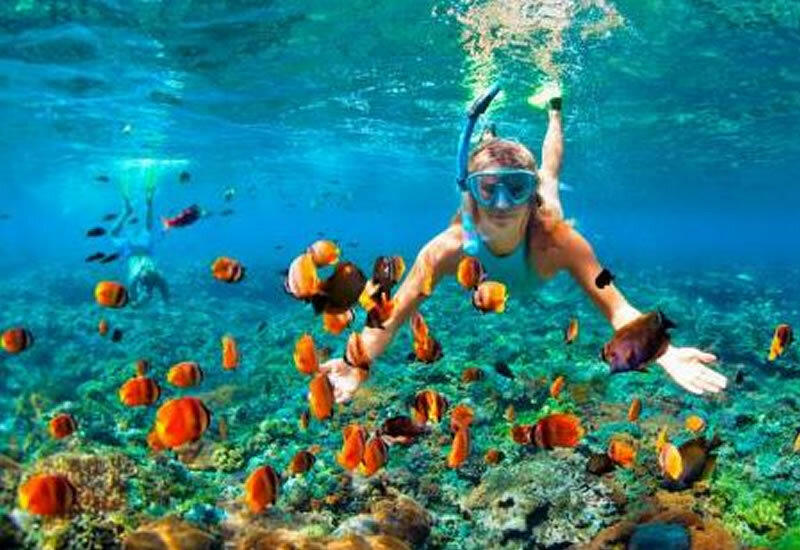 Snorkelling is great fun, easy to learn and an ideal way to build up confidence in the water. 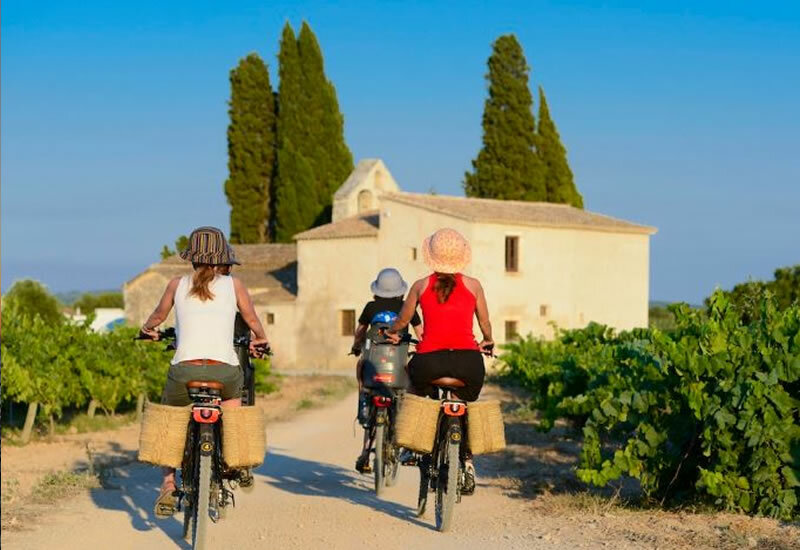 It is accessible to anyone – young or old – and is an enjoyable way to discover the mediterranean. 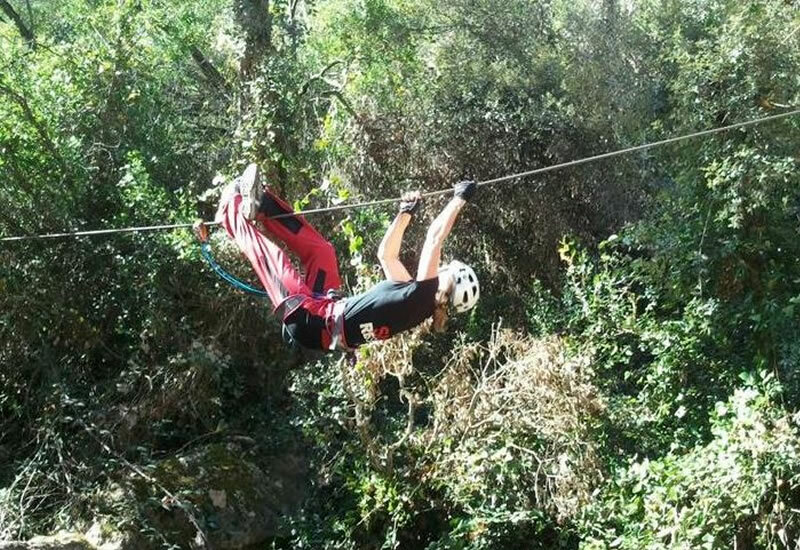 The Costa Brava is the sum of amazing sensations from Blanes to Portbou. 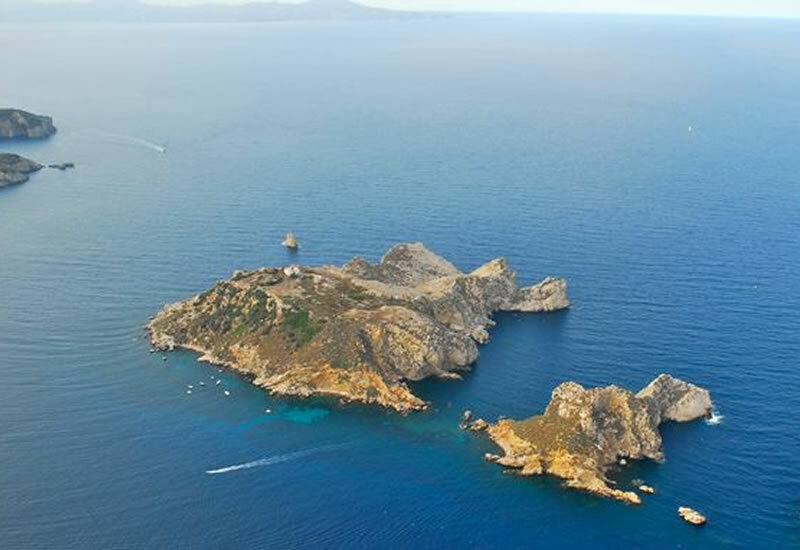 Nature plays a starring role in the form of three natural parks (Cap de Creus, Aiguamolls de l’Empordà and Montgrí, the Medes Islands and the Baix Ter area). 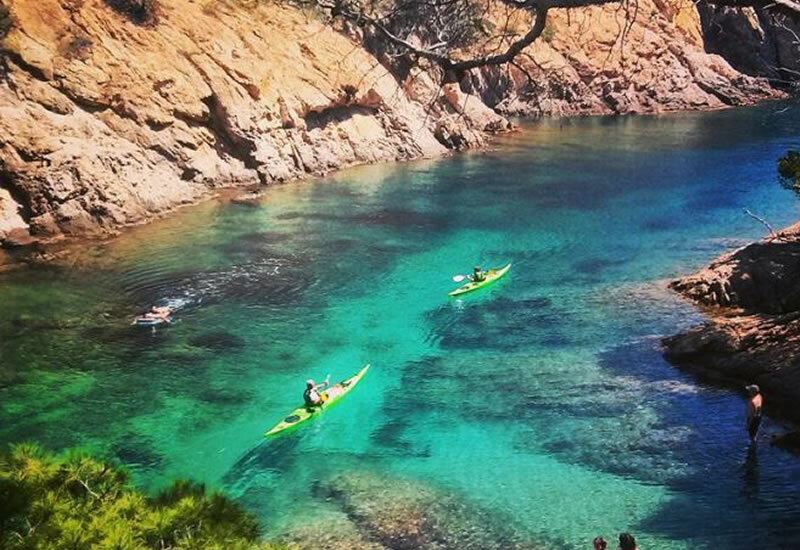 Beside its climate, Costa Brava and Costa Barcelona offers excellent infraestructures for a wide range of sports: kayak, snorkel, paddle surf, sub, sailboat, etc.. 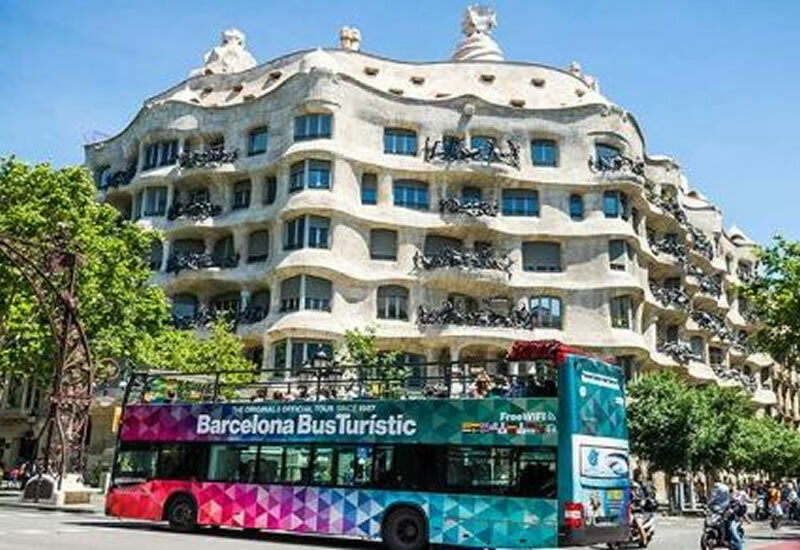 This tour will allow you to discover Barcelona with a comfortable and agile system like the city bus. A tour of the most emblematic areas of the city with marked stops. The system hop on – hop off allow us to visit wherever we are interested more. 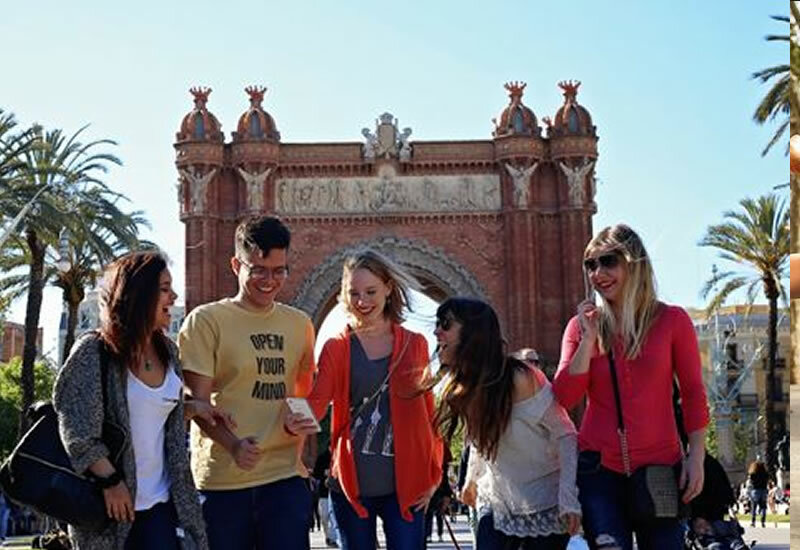 This system offers us a complete tour of Barcelona while the freedom to dedicate more time to those monuments or landmarks of the city more interesting for us. 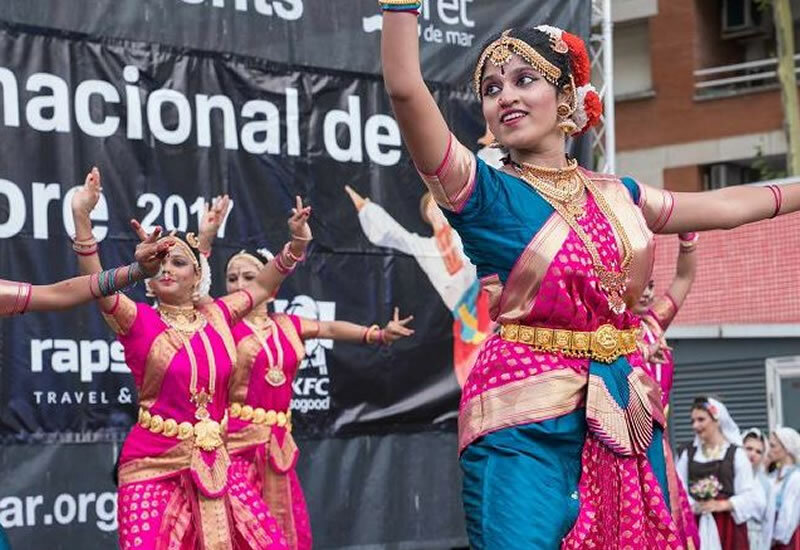 After the visit we will go to Barcelona at the Magic Fountain located in Montjuic where we will see a full performance of water, sound and colour. 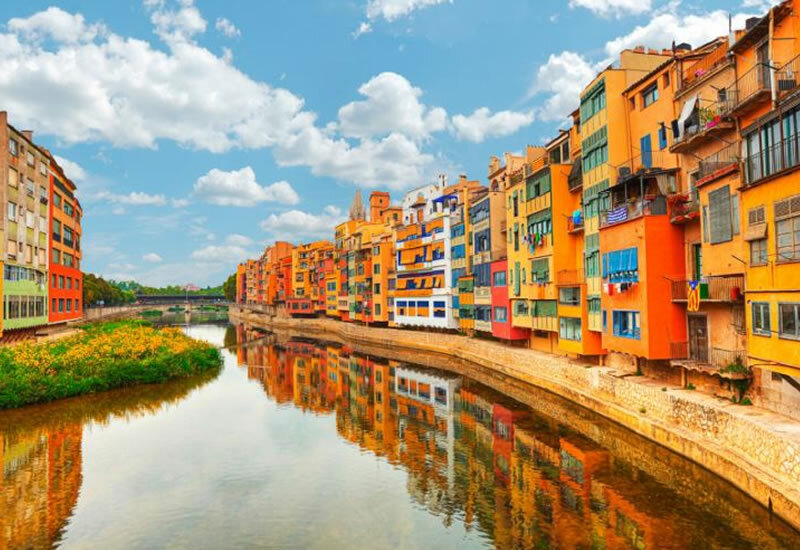 Guided by experts immerse yourself in its history and scenery, and let your emotions and feelings flow in this area of incomparable beauty and calm waters. 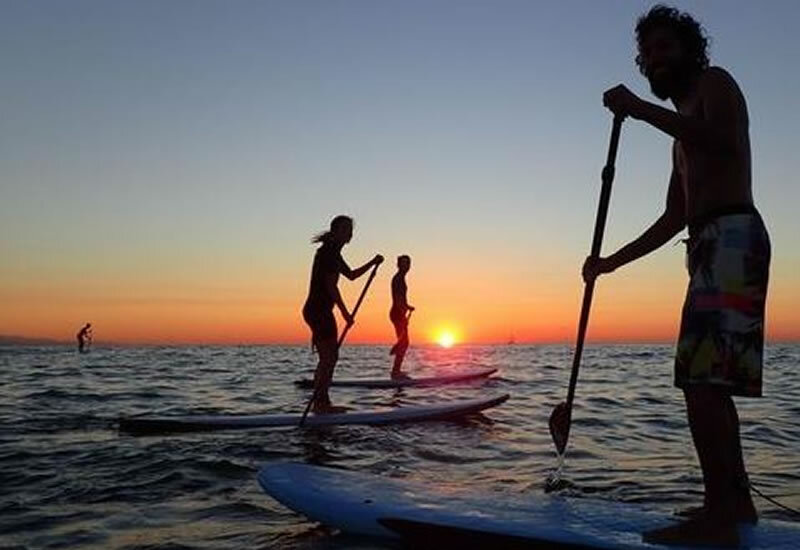 The Paddle Surfing is a fun sport and easy to learn. Everyone is able to paddle after only a few hours of learning. Port Aventura is a theme park and a resort in the south of Barcelona, Salou. 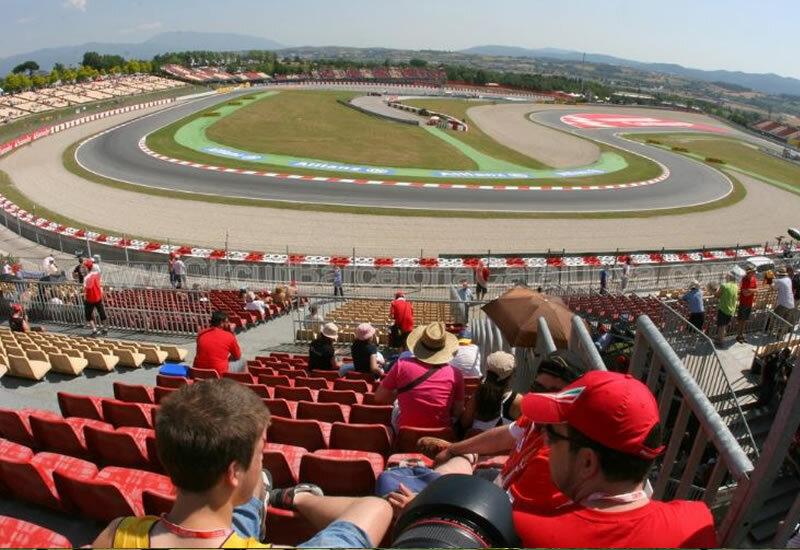 It attracts around 4 million visitors per year making it the most visited theme park in Spain. 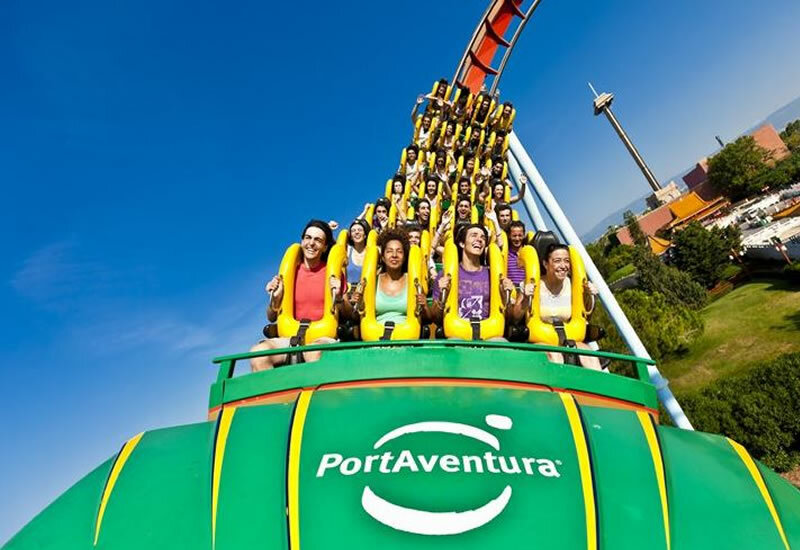 And thanks to its exceptional location, your holiday is completed by surrounding beaches, shopping areas, sports facilities, outdoor activities and restaurants where you can discover the delicious Mediterranean cuisine.Each of the 6 worlds of PortAventura Park offers endless thrills and spills for all ages. 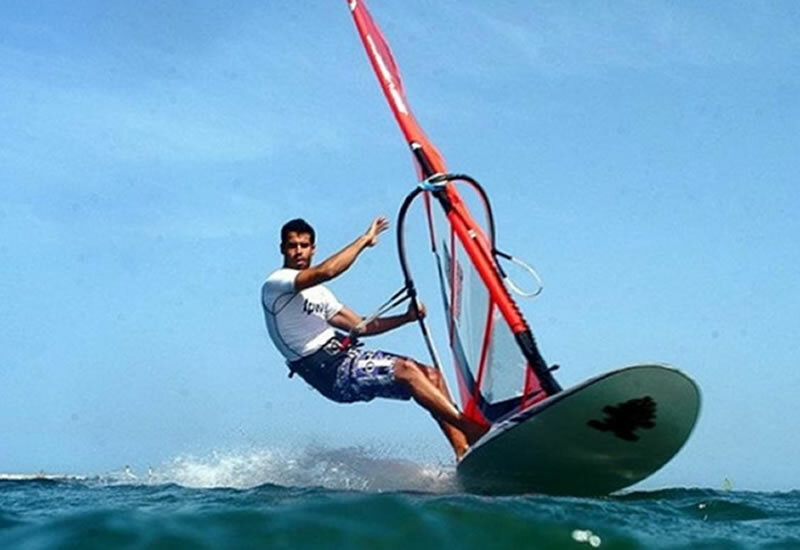 Windsurfing is a combination of surfing and sailing, consisting of travelling over water with a board and a sail pushed by the wind. Windsurfing has always been one of the most popular sports on our beaches, especially because of the security that the bay offers visitors and local athletes. GET INSPIRED & CONTACT US TO GET STARTED! We create School Tours according to your client’s needs!